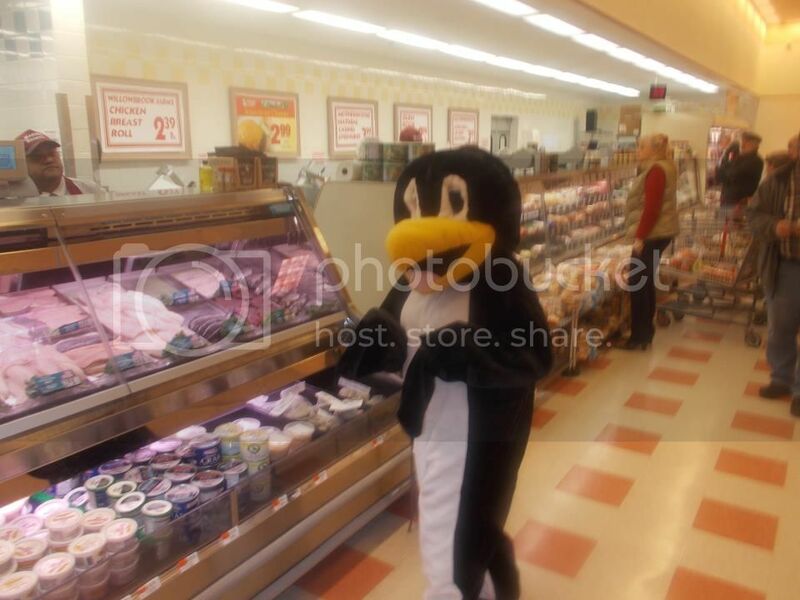 Our weather recently has been cold and snowy enough that 5 foot penguins have been turning up at the Sagamore Market Basket, demanding herring samples. We may be in for some more penguin weather this weekend. This is a tricky forecast, as WHDH was saying Scattered Showers for Cape Cod as recently as last night, while at the same time Accuweather was giving us 4-8 inches of the Powda. The culprit is a strong ocean storm that will- as we think right now- not hit us directly. However, she'll (in this column, all storms are girls and all winter ones are named Gayle) get close enough to include us in her precipitation field. Like we always say.... the track of the storm means everything. If it gets too close, we get her warm temperatures and it's all rain, especially for Cape Cod. If she tracks East, you could golf all day Saturday. Right now, we just don't know. I'll take a guess at some point in this article, but I'm also a sportswriter by vocation. Today should be fabulous... temperatures will push 50 today, and we stand a good chance of melting 2 feet of snow. Remember and cherish that warmth, because Mother Nature goes all Sarah Palin on us and we have some Alaska Saturday. Saturday's precipitation will start off as rain, but as the winds start coming at us from the North and temperatures drop, it all turns to snow. We get steady snow through the night, and wake up Sunday with 4-8" of snizz-ow. Temps get chilly on Sunday, but next week actually ends up being pretty nice... for February. Note that, in one week, we've had 2 feet of snow, then 5 more inches, and now we're looking at a possibility of 8 inches into Sunday. That's some Siberian sh*t right there, player. Cue the meteor strike. We'll be back tomorrow with an update.